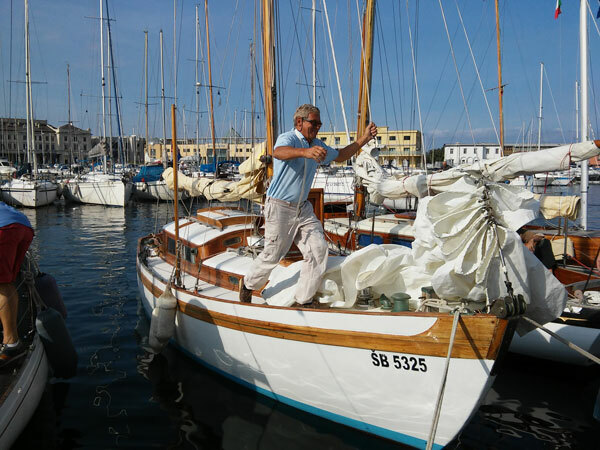 When Edwin Mazzanti first told me about the group of Vertues that occasionally sail together around Venice and Trieste I had no idea that the ‘Adriatic Fleet’ represented the most spirited collection of classic Vertues in the world! 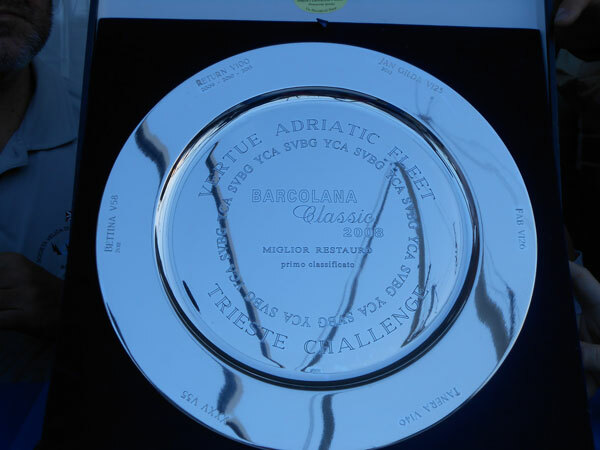 They not only cruise in company but every year they race together as part of the wonderful Trieste Barcolana regatta, and award a beautiful silver plate to their own champion. This is a great example to those of us who would like to sail together in the spirit of mutual admiration that naturally results from such gatherings of like-minded Vertue cognoscenti. 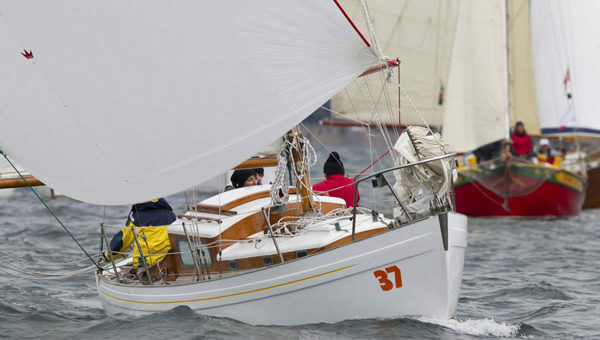 The pictures of Bettina, Jan Gilda, Fab and Return have been sent over by Edwin and we can all see what an immaculate fleet they have there! I wonder if we could emulate this kind of event here in the UK with perhaps similar ‘fleets’ of Vertues based on the East Coast, South Coast, South West and Scottish Islands. They could gather in various locations such as the River Orwell, Solent area, Plymouth or Falmouth, and up on the Clyde. It seems to me that it would be up to owners to contact one another to organise this, so please make use of the details of the many owners who are listed on this website, and, please keep them coming. Meanwhile, on a completely different tack, I would like to tell you about the Vertue with the most unusual name of ‘South Stoneham’. 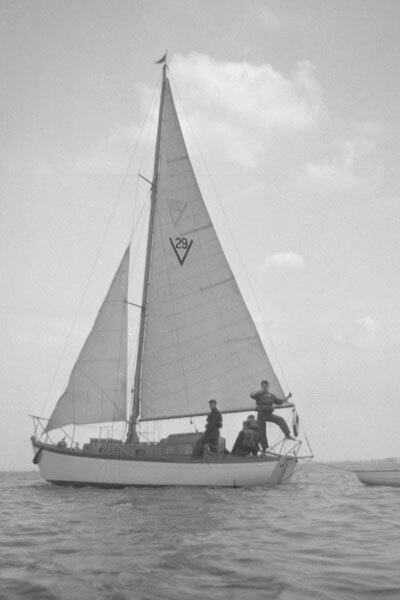 Roger Holt has been in touch over recent weeks with memories of this boat, V 29, that used to belong to the famous Warsash School of Navigation on the River Hamble in the 1960’s. Roger was a cadet at the School of Navigation and, along with other members of the Warsash Association, would love to hear if anyone has any knowledge of the current whereabouts of the boat. She was apparently named after one of the buildings that were owned by the School in those days! 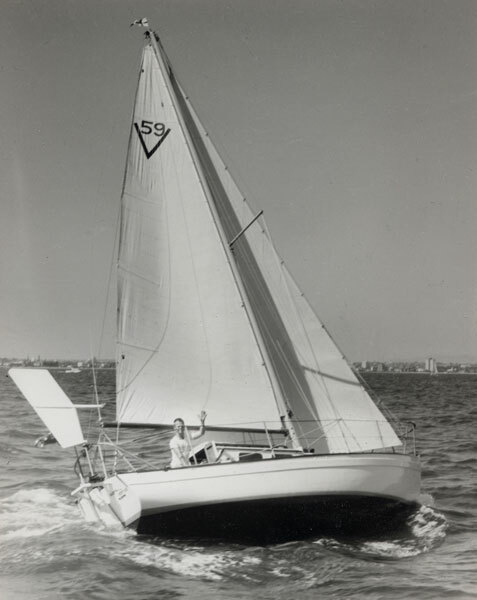 The only book to have been written entirely about the Vertue class first came out in 1973 and was written by Peter Woolass, who by then had already completed a carefully planned single-handed trans-atlantic passage in his Cheoy Lee boat Stelda. His list of ‘known’ Vertues at that time is a good starting point for all of us interested to find out more about the boats. It will be good to be able to add V 29 in due course if I ever succumb to the temptation to update the book one day! One of the most tragic tales retold by Peter Woolass was that of Austral Vertue, being cruised in the South Pacific by another single-hander called Mike McKeon. When visiting the Ellice Islands in 1972 he anchored off Vaitupa one evening in calm weather, stayed ashore until morning and found that the boat had simply disappeared into the night……never to be seen again. Mike has recently been in touch again and has sent an excellent photo of the boat creaming along under full main and masthead genoa with a Hasler wind vane doing all the work on the helm! 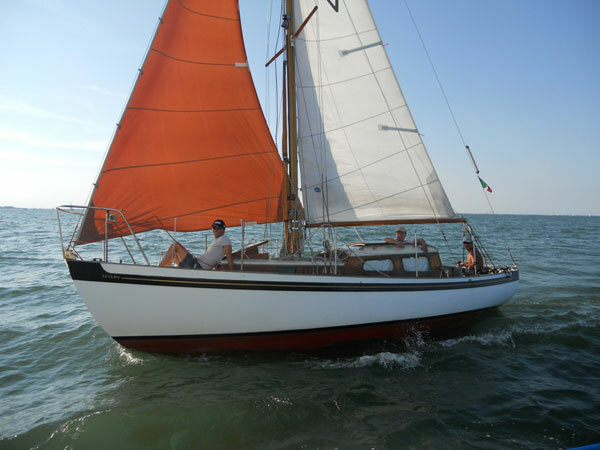 She was ‘home built’ by her original owner who then gave her an aluminium mast and single spreader rig. 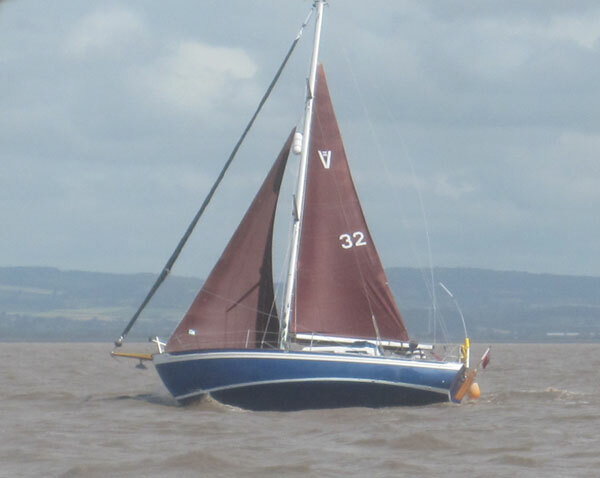 In complete contrast with Austral Vertue, John Hibberd who sails the grp VII Pebbles in the Bristol Channel has kindly sent this picture of his own boat with reefed main and working stays’l set in a fresh breeze. As can be seen she is well balanced and John tells me her working rig as a cutter is equally so. She appears to be well balanced with almost any combination of sails however, provided she’s not driven so hard so that her heeled shape induces some weather helm. It isn’t only the owners of vertues themselves that have great affection for the boats, as illustrated by an email I have received from Steve Meakin, manager of the legendary Cowes sailmakers Ratsey and Lapthorn. Time was when ‘Ratseys’ were the only place to go for best quality sails to take you round the world. Well, Steve now tells me that such is the firm’s regard for the Vertue that they are happy to offer a ‘significant discount’ to any owners looking to complete the wardrobe of their pride and joy….as long as she’s a Vertue!